What’s the best solar generator? Using the sun as energy is becoming a massive industry and in the future we’ll look back and wonder why it took so long to exploit our cheapest resource — solar energy. Whether it’s for environmental reasons or just the pleasure of having a completely silent portable power source, without unpleasant fumes, solar generators are growing in popularity. Many people love the idea of free electricity from the sun and take pleasure in the fact that their generator isn’t releasing CO² emissions like gas generators do. Not a lot of people understand solar generators too well and you can’t be blamed for having a lot questions about them. In this article, we’ll unpack all the details about this remarkable technology. Knowledge is king when it comes to making an informed decision. So, I’ll start by giving some important facts that will help you in deciding whether a solar generator is the right technology for you. We’ll review some of the best solar generators available and then go on to look at solar power in general and explore solar panels, offering some good options. The term solar generator is slightly misleading because they are not generators in the conventional sense of the word. The correct term should be a hybrid inverter-charger. These are inverters that convert DC power from a battery into AC power that can be used to run regular household appliances. The reason why we refer to solar generators as hybrid inverter-chargers is because they can charge the batteries using a variety of power sources. You can charge the batteries using a regular 120V power outlet, in which case you won’t be using solar panels. You can also charge them using a 12V power source like a car battery or 12V alternator/generator. Finally, they can also be charged by the sun, using a solar (PV) panel. Because they are able to use the sun to charge the batteries, portable hybrid inverter-chargers are commonly referred to as solar generators. They will perform the same job as a gas generator, but don’t require fuel to do so. Instead, a solar generator offers the sun as one of the ways to keep the batteries charged. You are always limited to the size of the battery when it comes to your available running time. Most solar generators allow you to add extra batteries to extend their backup time. However, you’ll still have only the amount of power that you can store in these batteries. It can take up to 24 hours (in some cases longer) to recharge the batteries using solar panels, so you don’t have that instant power on demand that you’ll get from a gas generator. With the right amount of panels and batteries, you can manage your solar generator usage to ensure that you have constant power. Later in this article, we’ll look at solar panels and how to use them effectively. This is a basic overview of solar generators. For those who want to know more about hybrid inverter-chargers/solar generators, I’ll go into more details about the technical aspects of this technology later. Let’s first take a look at some of the best solar generators available to you. 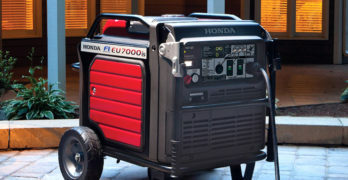 Best solar generator for heavy-duty power demands. Kit Includes: Goal Zero Yeti 1250, Boulder 100 Briefcase, Roll Cart. Comes with one Boulder 100 Watt Briefcase Solar Panel for a quicker recharge! I like that the Goal Zero Yeti 1250 solar generator is a complete kit. This means that you get the inverter-charger unit and two Boulder 30 (30W) monocrystalline solar panels with the solar generator kit. It also comes with a handy carry case to keep the solar panels protected when transporting and storing. The unit also has a built-in 100AH lead acid deep cycle battery. So it’s ready for use with a very simple setup procedure. Let’s start by looking at the solar generator unit. It’s relatively compact for an inverter-charger that delivers 1200 watts of continuous power and 1500 watts surge or peak power. It measures 11” X 16” X 14.5”. A 100AH deep cycle battery is a heavy item and so no one can expect this to be a lightweight machine, it weighs 116 LBS. To make the Yeti 1250 more portable it comes with a telescopic handle and wheels, so you can pull it around like a trolley. It also has soft grip handles on each side for lifting it. For a portable inverter, 1200W continuous power output is good. You can run a small fridge off the inverter and it will be more than capable of powering all your basic appliances (TVs, computers, lights and all electronic devices and chargers). A true sinewave inverter means that it is safe to use with any sensitive electronics. The control panel and inputs are very comprehensive without being overly complicated. It has a digital LCD display for input and output watts and a 5 stage (20%-100%) battery level indicator. This means that you can instantly see how much power you’re using and monitor the battery level at a glance. It has a full array of output ports – 3 X 5V USB ports for charging phones and other USB devices; a 10A car-type 12V port; a 33A pole port (Anderson12V output) and three standard 120V outlets. There are two DC inputs on the control panel. These consist of two solar charging inputs (designed for Boulder solar panels), each with a 10A load capacity (16V-48V) this allows for a maximum solar charge input of 160W for one port. If you use both ports, your maximum input charge is 240W (8 X Boulder 30 panels). The MPPT charge controller manages the solar input to maximize the charge to the batteries. Using the two 30W panels that are supplied with the kit, you can expect a charge time of 80-160 hours from zero to full battery charge – the light conditions will vary, so there’s a big variation in the maximum and minimum charge times. It also has a 20A Anderson power pole 12V input. All of the 12V inputs can be used to charge the battery via solar panels, a wall plug (using the 120V charger kit), or any 12V power source – like your car battery or alternator. You get a wall charger with the kit that produces 72W, allowing for a charge time of around 18-24 hours when charging it from a 120V wall socket. At the back of the machine, you’ll find two Anderson pole battery chaining inputs, this allows you to connect up extra batteries to increase your running time, up to a maximum of 180A. The 100AH will provide you with 10AH power at 120V. This means that you can run it at full load (1200W) for one hour on a charge cycle. You can increase this time by chaining in extra batteries. I’ve had a lot of experience in calculating battery backup time for inverters, I can tell you that this is not an exact science. You won’t be using the inverter at maximum power for long periods under normal working conditions. Later in the article, I’ll go into more detail about calculating battery backup requirements. For now, I’d say that if you’re using the Goal Zero Yeti 1250 solar generator with a single battery to run three 10A lights and a 40”plasma TV, you should get ±6-8 hours from the battery. I don’t like the fact that on the Goal Zero website, they list the battery life as hundreds of cycles. Come on guys, how many cycles do actually get from the battery? A quality deep cycle battery can deliver over a thousand cycles (this means you can run the battery low and recharge a thousand times or more). Batteries with over a thousand charge cycles will last around 5-7 years with daily use. You don’t always run a full cycle – if you run the battery to 50% and then recharge it, this only half a cycle. You’re probably not going to be using the Yeti 1250 on a daily basis, all year long. So I can guess that “hundreds of cycles” should mean that the average user can expect the battery to keep working fine for anything from 5-10 years, if you make sure that the battery is placed on charge at least once every 3 months. The two 30W solar panels that are provided with the kit may be less charge power than what you’ll need. If you’re only going to use it to run a TV and a light or two for 2-3 hours at night, you may get away with this amount of power, but there’s a good chance that over a period of a few days, your battery will eventually run flat – this will depend on how much cloud cover there is or other conditions that may reduce the efficiency of the panels. Using the maximum solar charge of 240W will give you a better charge cycle. If you’re using the machine for an average load of 500W for 4 hours per night, it will take about eight hours of sunlight to replace that charge during the day at a solar charge of 240W. I don’t think that most people will even reach 500W average load, remember that most of your high current devices (like fridges) don’t run continuously, so most of the time you’re using about 100-200W at night. Nonetheless, if you’re using a 1200W solar generator, I’d expect that you’ll be drawing around 250W-500W average load and, for this, you’ll need that maximum 240W solar charge to keep going through the night. You’ll also need at least two additional batteries. The Goal Zero Yeti 1250 solar generator is a well-built machine with a robust casing that will handle most conditions. If you’re taking it camping, the Yeti will, no doubt, take a few knocks and it sure seems able to handle this type of treatment. It comes with a 1-year warranty. Learn more about this generator on the Goal Zero site. Best solar generator for light-duty power needs. The Goal Zero Yeti 400 is a relatively small inverter-charger with a built-in 40AH 12V deep cycle battery. It has 300W running power (600W peak power) and is ideally suited for people who want to run basic electronic equipment and a few lights. This means you can use it for your TV, computer, general lighting and to charge your USB devices. Although it is a fully compatible solar generator with a solar charge input rated for up to 120W, you don’t get any panels with the kit. This means you’re buying an inverter charger with the option of getting the panels to use it as a solar generator. With an MPPT charge controller that’s able to handle 120W, you can hook up four Boulder 30 panels to the generator. Because you’ll probably be using this solar generator to run your TV and a few lights, you should get around 2-3 hours from the 40AH battery that comes standard with the unit. Like the larger Yeti 1250, you’re able to connect up extra batteries to extend your time. I’d say the battery time and charge input ratio matches the lower output capacity in a similar way to that of the Yeti 1250. So you can expect the same type of backup and recharge times when running an average load compared to peak charge and maximum battery capacity. In other words, the lower output of the machine in relation to the smaller battery or batteries and maximum charge input provides you with the same amount of backup time. The control panel has a very similar design to the Goal Zero Yeti 1250, though with fewer features. The Goal Zero Yeti 400 has exactly the same digital display for output in watts and battery charge level. It doesn’t have the same 12V inputs, though. Instead, it has a single 33A 12V input for solar, 12V car or 120V charging (using the wall charger adapter). This isn’t really a problem, considering the lower charge capacity of the machine. It has 2 X 10A 12V outputs (hex plugs) and a car-type 10A 12V output. There are two USB outputs, as well as two standard 120V outputs. The pure sine wave inverter will deliver a clean, pure sine wave – suitable for all electronics. This is a fantastic small, lightweight portable solar generator. It weighs only 29 LBS and measures 10.25” X 8” X 8”. A single soft grip handle at the top of the machine makes it very easy and comfortable to carry in one hand. If you’re looking for a very convenient solar generator that’s excellent for camping and day trips, this a perfect solution. It provides enough power to keep your TV, lights and other low-current devices powered and is easy to take anywhere that you go. It comes with a 6-month warranty. Recharge faster using the included home AC or vehicle DC outlet. Solar e-Power Cube (EL2547) is ideal for use in developing countries and areas prone to hurricanes and other acts of nature. It is a good investment for personnel in the military, security field and anyone who lives off-grid. A must have item for anyone who goes camping, tailgates, barbecues, or enjoys the outdoors. Expandable – additional solar panels and batteries (both sold separately) can be connected later for even more charging and powering capability.Use for camping, emergencies, outdoors, tailgating, and more; Compatible appliances include: laptop, TV, power tools, microwave, smartphone, lights, etc. This can truly be called a solar generator because it has built-in panels that require no connection. It’s, therefore, ready to use straight out the box. The panels fold and slide neatly into the Wagan EL2547 solar generator for easy and safe storage or transportation. Though the cube design with easy panel storage is a novel and unique idea, I have two objections to this design. One is that the panels are in a fixed position with 3 of the 5 panels lying flat, this means that they cannot be tilted to optimize their position in relation to the sun. The two panels that are on hinges are able to tilt so that you can angle them correctly, but they face directly opposite one another, this means that only one can be positioned for optimum efficiency. The other area of concern is that because these panels are connected to the inverter-charger unit, the entire machine has to be placed outside in the sun. These aren’t major concerns, though. The inverter-charger is designed for outdoor use and has waterproof protection for the outlets and I suppose the loss of solar efficiency is fairly nominal and, for many, the convenience of the fold-out design makes up for this. The inverter used in the Wagan EL2547 is a switch mode, modified sine wave type. This system is not as efficient as true sine wave inverters but does produce a sine wave that is compatible with all types of electronic equipment. I’ve tested modified sine wave inverters on every type of electrical device that we use today. I’ve found that though they perform almost as well as true sine wave inverters, they can be problematic with some electronic dimmers and cheaper LEDs that don’t have a sophisticated driver. In 99% of user applications, I really can’t see a problem with this technology. If you want to know more about inverters, later in the article we’ll go into more technical details. What most people will want know is will a modified sine wave inverter work with all my appliances? The general answer is yes, in the few instances (as mentioned above) where this technology interferes with the functioning of the device, it’s very easy to change these lights or dimmers with better ones that will work. The inverter has a powerful 1500W output and a very impressive 3600 peak power output. This is one of the advantages of using the older technology that produces a modified sine wave – it uses copper coils that can handle a much larger load for short periods of time. This higher peak load makes it better suited for high current start-ups used in appliances like fridges, ACs, and microwaves. It’s rated for a maximum efficiency of 90%, other inverters that use IGBT (true sine wave) technology, typically have an efficiency rate of 95%-98%. So you won’t get as much battery time from this type of inverter. The robust design of the MOSFET inverter makes it quite heavy, 122 LBS. It is made easy to transport with a retractable handle and large wheels. I’m very pleased to see that they use an AMG/Gel Hybrid battery, this does compensate for the less efficient inverter. We’ll also go into more technical details about battery technology later. Basically, AMG/VRLA hybrid batteries provide a longer life with better cycles than most other deep cycle batteries. The battery used in the Wagan EL2547 is rated for 100AH and you can link more batteries if you require longer backup time. I should point out that you should use the same type of AMG/Gel hybrid battery if you’re going to add more. They are usually more expensive than lead acid batteries but do offer superior performance. The reason why it’s important to match batteries is that if the batteries that you add, run flat faster than your existing battery, the additional batteries will drain the one that still has power. This will reduce the lifetime of the battery that’s designed to last longer because it will have to sacrifice some its power to the weaker batteries. Any 12V battery will work, but you’ll be wasting money by reducing the life of the better AMG/Gel battery. The five solar panels that are built into the solar generator produce a total of 80W. It has a 20A charge controller, so you are able to link up additional panels up to 220W. This will give you a good charge rate if you plan to fully utilize the inverter’s 1500W running load capacity. Unfortunately, they don’t give any other specs for the panels, so I can’t tell you what type of panel they are using. The Wagan EL2547 is designed for super easy operation. You simply roll the unit out into the sun, pull the panels out from their closed position and switch it on. There’s no connections or wires to worry about. The control panel is shielded by a plastic cover to make it water resistant and it has a convenient array of outlets and a single, easy to use input, for external charging. It has 2 X 12V (car-type) outlets; 2 X USB outlets and 2 X 115V standard AC outlets. The 12V input can take any 12V power source for charging or you can connect additional panels to this input. It also has a wall charging adapter that will plug into this input, so you can plug it into the mains if you need to. This must be one of the easiest solar generators to use and I think a lot of people will like this about the Wagan EL2547. It’s reasonably compact for a solar generator that delivers this much power. It measures 20.87” X 20.87” X 14.57”. If you consider that these are the total dimensions, including the five solar panels that pack neatly into the machine, it’s ideal for transporting easily. It also has a storage compartment for any accessories that you might want to take with you. For people who want a very convenient and user-friendly portable solar generator, the Wagan EL2547 will be hard to beat. It comes with a 2-year warranty and the battery comes with a 6-month warranty. It’s very common for manufacturers to offer no warranty or, if they do, a very short warranty on batteries. This is because a deep cycle battery is easily affected by bad charging and there’s really no way of detecting this. Note : This product is sold by different brands : Suaoki, AcoPower, and PowerOak. Has a handle for easy carry or transportation. For a lightweight, portable solar generator at a very reasonable price, the Suaoki PSB5 comes highly recommended. I’d say its price and weight are the biggest reasons why one would want this unit. Other than this, it’s not ideal for many applications. I’d recommend the Suaoki PSB5 for people who want to keep some lights running and electronic devices. 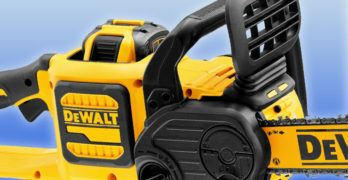 You could use it for smaller power tools, but I wouldn’t recommend it for any high-current devices. Apart from the 300W continuous load, that limits its power for fridges and the like, the low weight spec suggests that it probably doesn’t have a very large transformer and won’t handle high inductive loads. For general light-duty use, however, this is a fantastic deal. It produces 300W of continuous power and has a good peak load of 600W, delivered by a true sine wave inverter. This is one of the few solar generators that uses a lithium-ion battery. 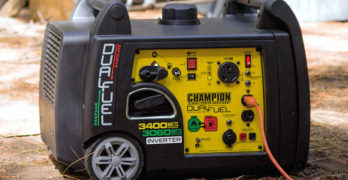 This is not only great for reducing the overall weight of the generator, but these batteries can handle a lot more punishment than standard deep cycle batteries. It has a 10A solar panel input, a car-type 12V input and an AC input for charging the battery from the mains. Outputs are supplied for 12V (car type outlet); 5V USB outlets for phones, tablets and other USB devices and two 120V standard outlets for regular AC appliances. The LCD display gives you information on the battery status, input wattage, and output wattage. Though, the battery charge indicator can be a bit erratic – especially when connected to solar panels. People who want a very portable solar generator will be impressed with the exceptionally low weight of 12.3 LBS. It’s also very compact, with dimensions of 5.51” X 9.06” X 9.06”. The Suaoki PSB5 is a great backup power supply to keep around the home for power outages. It will give you enough power to keep some lights on, keep your computer or TV running and keep your USB devices charged. When used for this type of work, you’ll probably get around 3-hours backup time. If you’re only using it for a few low watt lights and charging your phone, laptop or tablet, you’ll easily get 4-6 hours. The benefit of using a lithium ion battery is that you can leave it uncharged for months and still be able to use it with no damage to the battery. A nice compact unit, ideally suited for home use, short camping trips or light-duty site work. It comes with an 18-month warranty for parts and labor. Max. 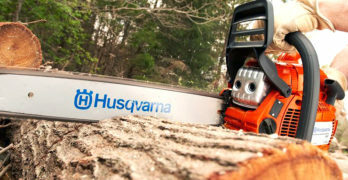 total power output of 140 W.
The Monerator Gusto 10 is the perfect addition to your disaster relief kit. This is thanks to its small size and weight. Resembling a briefcase with a carry handle, it measures 11.2” X 5.3” X 9.8” and weighs only 4.9 LBS. Apart from being a basic power supply for emergencies, this little solar generator can also be very handy for taking with you on road trips and providing power for your basic music and lights when entertaining outdoors or going on a fishing or hiking trip. You are quite limited by what you can run off the Monerator Gusto 10 as it only supplies 80 watts of AC power (100V/220V), with a maximum power output of 140W (peak power). This means you can run a few lights, a laptop and possibly a small sound system or portable radio. It’s designed to take anywhere, which makes it ideal for emergency use and keeping in your car. 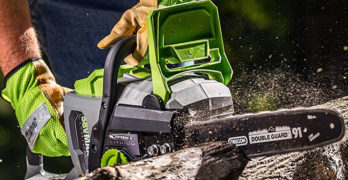 Because it uses a 10.7AH lithium-ion battery, it will remain charged for long periods of time, further adding to its versatility as an emergency power supply unit. You are able to extend its backup time by adding up to two extra batteries. Ultra-lightweight makes this perfect for outdoor excursions. It can be charged using an AC power supply, 12V car battery/alternator or solar panels up to 20W. It has 3 X USB power output ports, 2 X dual pole 12V outputs, and a car-type 12V output. There’s no extra dials, displays, and complicated switches. It’s designed to be a robust, portable solar generator that can be taken anywhere with ease. The kit includes an AC charger, several adapters for the USB and cigarette lighter output, and a handy LED light. You also get a solar panel with the kit. I can’t find a warranty agreement for this product anywhere, but the manufacturers claim a 10-year life for the Monerator Gusto 10 and this proudly displayed on the unit. Judging by its robust design and the quality lithium-ion battery, I think this statement can easily be true. Solar energy can be separated into two categories – solar-thermal energy and photovoltaic energy. Solar-thermal describes a process of using and storing the sun’s energy as heat whereas photovoltaics is the process of converting light (photons) into electricity (volts). Because this article focuses on the best solar generator, we’re only going to be looking at the latter, photovoltaic energy. Your solar generator needs three basic requirements, that is an inverter-charger, solar (photovoltaic) panels and a battery or batteries. This section of the article is going to unpack these three elements and make them more understandable. At times, the topic may get a bit technical but I’ll try to describe them as simply as possible. Hopefully, you’ll understand the topic better by the time you’re through reading this. Best solar generator if you need a compact and ultra-portable model. Take it anywhere. Fantastic design makes this a great buy. I’m going to explain the two aspects of the inverter-charger separately. The inverter is one part of the process and the charger serves a completely different purpose. Both are equally important. An inverter is able to convert DC power (most commonly from a battery) into AC power. Originally, inverters used switch-mode technology. A switch-mode inverter uses a transformer to step up the voltage from the battery to the same voltage as the output. If you’re using a 12V battery and use standard US AC power, the transformer will step up the voltage from 12V to 120V. Essentially a transformer can use any input voltage and produce any output voltage, depending on how the windings are arranged. The DC current is then supplied to a Metal Oxide Semiconductor Electric Field Transistor (MOSFET). It’s a mouthful, I know but it really is a basic process. The MOSFET uses the field that’s generated by passing the current through a copper coil. It then uses a switch to turn the current on and off at a set frequency – in the case of US power, this is 60Hz (sixty times per second). The transistor controls the flow of the current so that it resembles a pulse. A basic switch-mode inverter uses two MOSFETs in parallel, one to switch the DC positive and one to switch the negative. The result is a current that resembles an AC sine wave. When you use only two MOSFETs you end up with four points upon which to plot the sine wave. There are two points for the positive on or off and the same for the negative. Because of this simple four point plotting, you end up with what is known as a square sine wave. A true sine wave is an ellipsoidal curve. So the square sine wave produced using only MOSFETs in a switch mode inverter is a pretty poor imitation. To improve the sine wave, more MOSFETs can be added in parallel. This is always done in pairs – one for positive and one for negative. With each additional pair of MOSFETs, another square is added, with each additional square being slightly smaller than the previous one. This produces a sine wave of cascading squares and resembles steps. This type of sine wave is known as a stepped square or modified sine wave. A square sine wave is very basic and many electronic devices won’t work properly with this type of inverter. A modified sine wave is a much better representation of a true sine wave and almost all AC devices will function normally with a modified sine wave. They just won’t work as efficiently, this means that they will draw more current and some equipment may operate at a higher temperature. In recent times more inverter manufacturers are turning toward insulated Gate Bipolar Transistor technology. This is even more of a mouthful and slightly more complicated. Basically, IGBT inverters plot hundreds of points on which to form the sine wave and use a microprocessor to ensure that these points are arranged to produce a very pure sine wave with low amounts of distortion. Harmonic distortion occurs when the frequency or voltage changes and thereby changes the shape of the sine wave, distorting it. The sine wave produced by an IGBT inverter is cleaner than grid power with a Total Harmonic Distortion (THD) that is usually within 1-3%. There’s no need to use a transformer with IGBT technology, though most quality IGBT inverters use a transformer in order to handle high current peaks. Without a transformer, an IGBT inverter can’t handle inductive load. This means that appliances with brushless motors or any other appliance that uses a capacitor or ballast (like microwaves and fluorescent lights). This type of load will damage the inverter that doesn’t have a transformer. Some manufacturers prefer to use switch-mode modified sine wave inverters because they are cheaper and can be more robust under certain working conditions (like welding and high powered motors). The only disadvantage to using a modified sine wave is that it’s less efficient (your battery will run flat sooner) and that some appliances may not function properly on a modified sine wave, though this is very rare. The power output and voltage of a solar (PV) panel can be deceptive. Panel ratings are nominal, meaning that they will produce an average output within a certain range of their rated output. When we discuss solar panels we will look at why this is so. For now, what we need to know is that a solar panel that is rated for 12V will usually generate a closed circuit voltage of 16V-18V. Open circuit voltage can be much higher. The watts produced by solar panel also fluctuates under changing light conditions. A 12V battery charges best within a range of 13.2V to 14.4V. At a low charge, a battery requires higher amperage and the voltage isn’t too important. As the battery reaches a full charge, it requires fewer amps but needs a higher voltage. In order to balance all of this, we need a smart charger that will optimize the voltage and deliver the best wattage. For this, we need a smart charger. Cheap, switch-mode chargers are not great for solar. They will switch the power on when the voltage is within the range of the battery and switch off when it’s too low or too high. Because solar panels fluctuate, you end up losing a large percentage of the power generated. A decent solar charger uses Maximum Power Point Tracking (MPPT). These charge controllers use electronics to monitor the state of the battery as well as the voltage and amps coming in from the panels. They will control the input voltage from the panels to match the load requirement of the battery. At the same time, they deliver the highest amp output from the panels, thereby maximizing the panel’s wattage. Any solar generator that’s worth buying will include an MPPT charge controller. These controllers will have a maximum amp/watt rating. This means that you can only add as many panels as the maximum rating for the charge controller will allow. MPPT chargers have a very wide voltage range, the higher the better. Depending on the quality of your panel, your voltage and wattage may change dramatically and the ratio between the two can be great. The higher the voltage range of an MMPT charge controller, the more efficient it will be when using panels that have a high fluctuation. Though a solar generator is a hybrid system, meaning that it can be charged by several different power sources, the main difference between these generators and all others is their ability to use the sun as a source of power. To do this, the solar generator requires solar panels. Let’s take a brief look at the history of solar panels and how they work. We’ll follow this up with what are the best solar panels that are commercially available and how to set about choosing the right panel for your applications. Our story goes back as far as 1839, well before people knew anything about atoms and how they work. As with so many scientific discoveries, photovoltaics came about completely by accident. In 1839 the French Physicist, Edmond Becquerel, found that the conductivity of some metals increased when exposed to light. This discovery was not part of his initial objective and so little attention was given to it. Later, in 1873, Willoughby Smith discovered the photovoltaic effect of selenium and in 1876 built the first photovoltaic cell using selenium and platinum. Though this was a very exciting scientific discovery, it had no practical use as the current produced wasn’t sufficient to power any electrical device. It was only in 1904, when more was known about atomic and electron energy, that Albert Einstein first provided a comprehensive theoretical explanation for photovoltaics. This led to the first monocrystalline silicon solar panel being developed by the Polish scientist, Jan Czochralski, in 1918. So began the journey into the usable solar panel. Even with the discovery of the monocrystalline solar panel, there was no viable commercial use for the technology. The solar panel was expensive to produce and there was no incentive to replace the coal-powered and hydroelectric power generation facilities of the time. It was the dawn of the space race in the 1950s that led to well-funded research into PV technology. The use silicon solar panels are the best way to produce electricity in space. Firstly because one cannot use normal combustion methods in space due to the lack of oxygen. Transporting both fuel and oxygen to a satellite to run any form turbine generator simply isn’t feasible. Solar powered, photovoltaic cells provided the answer. Through the 1950s and 1960s, the US military funded the development of solar panels for use in space. So we have US taxpayers of this era to thank for the technology that is commonly available today. Photovoltaics remained too expensive for normal commercial use for a long time. It was only with the oil crisis of the early 1970s that governments started to see a need for an alternative source of energy. This started a slow process of developing affordable solar panels for everyday use. This drive only reached its peak in the 1990s when global warming and climate change started to become a real concern. Through the investment in solar technology, the price of PV cell production fell from $76.67 per watt in 1977 to $0.74 in 2011. In 2017, the industry standard for installed solar panels is considered to be $1.00 per watt. Combined with economic incentives for renewable energy in many states, solar energy is becoming increasingly common and it now makes financial sense for the private individual to invest in this technology. How does a PV panel work? The science behind photovoltaics lies in the makeup of atoms. Every element on the periodic table has a specific atomic structure. This means that each element has a fixed number of electrons orbiting around a nucleus, in a specific formation. The electrons form their orbit by the process of attraction and repulsion, in the same way that magnets will attract and repel one another depending on their polarity. Electrons are always negatively charged and will, therefore repel one another, forcing them apart. The nucleus at the center of the atom has a very low positive charge and therefore attracts the electrons toward it – though with not much energy. Because the electrons are being attracted and repelled with unequal force, they form ellipsoidal orbits around the nucleus. Because the electric energy of electrons is not the same, some electrons are forced into a wider orbit and are therefore on the outer reaches of the atom. This is known as the outer valence band of the atom. These electrons on the outer valence band have the lowest amount of attraction to the central nucleus and their orbit can easily be disrupted. Not all elements have a very loose outer valence band. Those that do, like silicon, are very well suited for use as a semiconductor. By manipulating the energy of the electrons in the outer valence band, we are able to control them and affect how they work. To manufacture a PV panel, elements with several “loose” electrons (these are electrons in the outer valence band) are arranged in a crystal structure that allows them to be energized by photon energy and forced into a copper conductor. Effectively turning light into electricity. Silicon is not the only element with photovoltaic properties but is currently the most affordable. A silicon solar cell will contain mostly silicon but is usually doped by combining it with other elements that make the electrons more reactive. This makes the panel more efficient. There have been quite a few developments in solar technology over the last 15 years and solar film is probably the most efficient type of solar cell available today at about 20% efficiency. With the use of tracking systems, that use electric motors to move the angle of the panel to track the sun across the sky and Fresnel lenses that magnify the sun’s light, it’s possible to reach an efficiency of around 60% using photovoltaic cells. All this specialized technology is expensive and is, therefore, not a feasible option for the average consumer. Crystalline silicon solar panels are the only type that is commonly available. This type of panel can have a life expectancy of anything from 10-15 years depending on their quality. Efficiency will range from 11%-18% on average, again, depending on their quality. There’s no clear way to determine the quality of a solar panel without testing it over a long period of time. It’s best to get trusted advice on which panels to buy. Don’t worry we’ll give you some good options a little further down. Basically, commercially available panels can come in two forms. Monocrystalline silicon panels are the best of these two options and provide an average efficiency of 14% (some can be as high as 20% or more). Multi-crystalline solar panels are cheaper but are less efficient, averaging about 13.2%. These average figures are based on global statistics. The efficiency of the panel can differ greatly, depending on the manufacturer and where they are used. An area with good sunlight, low cloud cover and low levels of air pollution will provide for much more efficient solar generation than less ideal environments. Because the highest number of solar panels are used in China and Germany, where the average sunlight is poor, this average is slanted to the lower end of the scale. Solar farms in the Arizona and California deserts are showing much better efficiency rates. Whatever your, conditions, you’ll be using the sunlight available to you, so average percentages are not that relevant – you just want the best solar panel for your solar generator. Essentially, you can connect any solar panel to your solar generator, as long as the voltage range is suited to your charge controller and the total watts of the combined output of the panels that you’re using doesn’t exceed the maximum wattage of your charge controller. Most commercially available solar panels are nominal 12V, so any of them will work with the solar generators that were reviewed at the beginning of this article. All of these solar generators have suitable charge controllers and will, therefore, maximize the charge from the panels to ensure the best battery charging. Below is a list of solar panels that come highly recommended and will provide you with the best efficiency and durability. While Mono-crystalline panels are the best, I’ve included one Multi-crystalline (poly-crystalline) option, because it’s so affordable and is one of the best quality multi-crystalline panels available. Renogy RNG-100D : 100W 12V monocrystalline solar panel – 25-year transferable power warranty; 5-year material & workmanship warranty. HQST 100W 12V poly-crystalline solar panel – 25-year transferable power warranty; 5-year material & workmanship warranty. AllPowers 100W 12V bendable, flexible mono-crystalline solar panel – 23.5% efficiency; 18-month guarantee. Without batteries, your solar generator isn’t worth much. You want to be able to use the generator all the time, so you need to store the power when the sun is shining. While your solar generator is fitted with a battery, it’s very likely that you’ll want to add more batteries to increase your backup time. You can add several batteries to your solar generator, within the battery amp rating of the generator. It’s important that you remember that batteries form a chain and that a chain is as strong as its weakest link. One bad battery in a chain of good batteries will affect the performance of all the batteries in the chain. An inferior battery connected together with good batteries will not only reduce your backup time but will shorten the lifespan of the other batteries. So it’s important to use high-quality batteries. Many people think that all 12V batteries are alike and that you can use a regular car battery with a solar inverter. High discharge 12V batteries (like those fitted to motor vehicles) will work with an inverter but they won’t last very long. These batteries are designed for rapid discharging and recharging. An inverter works in the opposite way. You have a slow discharge over many hours (even days) and your recharging period is equally long. A high discharge battery used in these conditions can very likely become unusable within a few months, so it’s a complete waste of money using them for solar inverters. Most solar systems use deep cycle batteries (also known as marine or leisure batteries), lithium-ion batteries are becoming more common and more affordable. These batteries are designed for the slow discharge and discharge that comes with a solar electric system. Unfortunately, lithium-ion batteries designed for solar use are incredibly expensive. However, if you’re using an inverter that delivers 300W or less, 12V lithium-ion batteries used for motorcycles can work – you’d have to check with the manufacturer to see if they are suitable for your inverter. Quality deep cycle batteries are still the most common choice and can last as long 10-years if properly maintained and charged correctly. Even with heavy use, you should expect at least 5-years lifetime from your deep cycle battery. Lead Acid batteries – For a long time lead acid batteries were the only deep cycle batteries available. Quality lead acid batteries will last you a long time and are reasonably priced. Calcium Gel batteries are a more environmentally friendly alternative to lead acid batteries and have about the same performance. AGM Gel/VRLA Hybrid batteries – These batteries outperform both lead acid and calcium gel batteries and have a longer life cycle. They cost more but provide better value for money because of their improved performance and longevity. These are the best deep cycle batteries for solar systems. Lithium–ion batteries – 12V lithium-ion batteries have only recently become available and are by far the best batteries for solar generators. They last longer, weigh considerably less than other batteries and be stored for long periods without needing to be placed on They are also the most expensive. Here are some excellent options if you’re looking for the best batteries to use with your solar generator. Because your solar generator comes with a battery installed already, it’s important to match the type of battery that is in the generator. This means that if it uses a lead acid battery, you should only use lead acid batteries when adding more batteries. Other batteries will work, but if they have a longer discharge time, the battery in your generator will discharge these batteries, shortening their life. You can change the internal battery to match your additional batteries if you want to improve on quality. You should also make sure that all your batteries have the same AH rating, otherwise the batteries with higher AH rating will discharge into the lower rated batteries to equalise them. This will shorten their lifespan. Adequate battery storage is essential to keep the power on when using a solar system. In order to do this, you need to calculate your estimated watt-hour usage. For most appliances, this is fairly simple. You switch them on and of when you use them and can quite easily estimate how long you use them for. Refrigerators are more complicated, because they switch on and off according to their thermostat setting. The amount of time that they run for will depend on the design of the refrigerator and how many times you open and close the door. If you’re using a solar inverter, it’s worth your while investing in an energy efficient refrigerator. A small refirigerator can draw as little as 250W, if it uses a very efficient motor. Most of the time, people open the refrigerator to get drinks from them. It’s a good idea to use a cooler box with ice for your cold beverages, thismeans you’ll be opening the cooler box every time and not the refrigerator. The table below shows an average power consumption for an RV using a 1500W inverter. For the purposes of this example, I’ve calculated power consumption for electrically efficient appliances and lightining (250W refrigerator and 5W LED lights). I’ve also made the assumption the refrigerator won’t be opend too many times through day and therefore estimate that the motor will run for 10 minutes per hour through a 24-hour period. From the table above, our estimated daily electricity consumption adds up to 2267WH. We need to remember that your solar panels are affected by the weather. On overcast days, you won’t be charging the batteries as efficiently as on sunny days. So we’ll need to consider this when calculating our battery needs. For this type of system you’ll be using batteries with at least 100AH. A 12V 100AH battery delivers 1200WH. So to meet this requirement, you’ll need at least 2 X 100AH batteries. To allow for lower charge on days with bad sunlight, you should use at least 3 X 100AH batteries. If we calculate our power generation needs on an average of 8 hours of good sunlight per day, we’ll need a solar generating capacity of 283W. We hope you’ve learned a lot by reading this article. Our goal was to empower you with information and provide some recommendations to help you choose the best solar generator for your needs.